Many are not aware that we are open 7 days a week all year. We are not just a seasonal garden center that is open for 8 months. We carry an extensive line of wild birdseed, suet, and birdfeeders as well as pet food and supplies. Also available in the winter months is ice-melt, snow shovels, and bundled kindling/firewood. We are open Monday thru Saturday from 8:30-5:30. Sundays 9:00-4:00. Our hours do get shortened a little bit during the winter months. Please check our website for up to date hours of operation. We have two major entrances / exits. We sit just off a main road in Sandwich and can be found very easily. Can someone plant a tree or shrub I purchase from you? With our small but dedicated staff we currently do not have a specific department. We will though recommend a highly reputable landscaper. Is Scenic Roots child and pet friendly? The store and nursery yard is laid out in such a way that parents can shop without having to worry about what their child may be getting in to. As far as your canine friend, he/she can come in as well and explore the store and nursery yard. A free biscuit for every visit with us. Do you have a restroom on the premises? We have a public restroom that has been recently renovated. Any and all customers are welcome to use the facility. 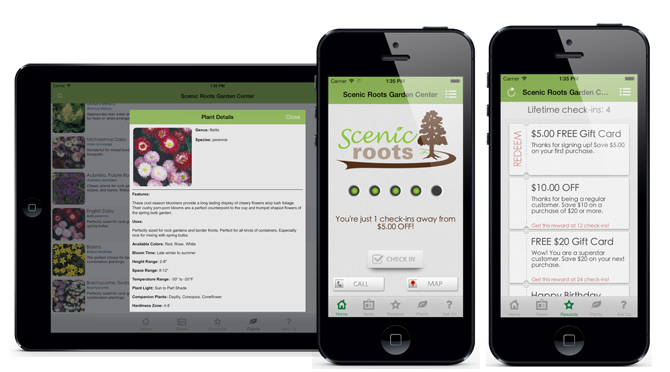 Scenic Roots does have two pickup trucks that can be used to deliver product to a site. The fee is relative to how far the travel is and how many trips it includes. A big box truck in not currently on site for big deliveries. We grow our own vegetables, herbs, Proven Winner annuals , mums and hanging basket combinations, along with some other specialty varieties of perennials, succulents,fruits and veggies. Those plants that we are not able to grow due to space limitations are brought in weekly by local farmers. This ensures that our herbs, vegetables and annuals are fresh. Our trees and shrubs are bought within the New England area only to ensure hardiness, availability and to keep freight charges to a minimum. Do you mail gift cards? We would be happy to mail a gift card to that special person for you. Many are not aware we have sold several varieties of Christmas trees since 1986. We also sell wreaths, roping, centerpieces, kissing balls and supplies for all your other holiday decorating needs. Yes. When you plant your trees & shrubs purchased from our nursery, and plant them according to our instructions, with our proven quality product listed below, we will warranty them for 1 year. This warranty does not cover damage of dieback caused by severe seasonal conditions, mechanical injuries, animal browsing or insect damage. This guarantee is voided on seasonal sales. This guarantee is for trees & shrubs only. Receipt is necessary for replacement, store credit, or refund. If you have any questions on how to take care of your plant please ask our knowledgeable and friendly staff. We want all your plantings to be a success! Is there a charge for your events and seminars?